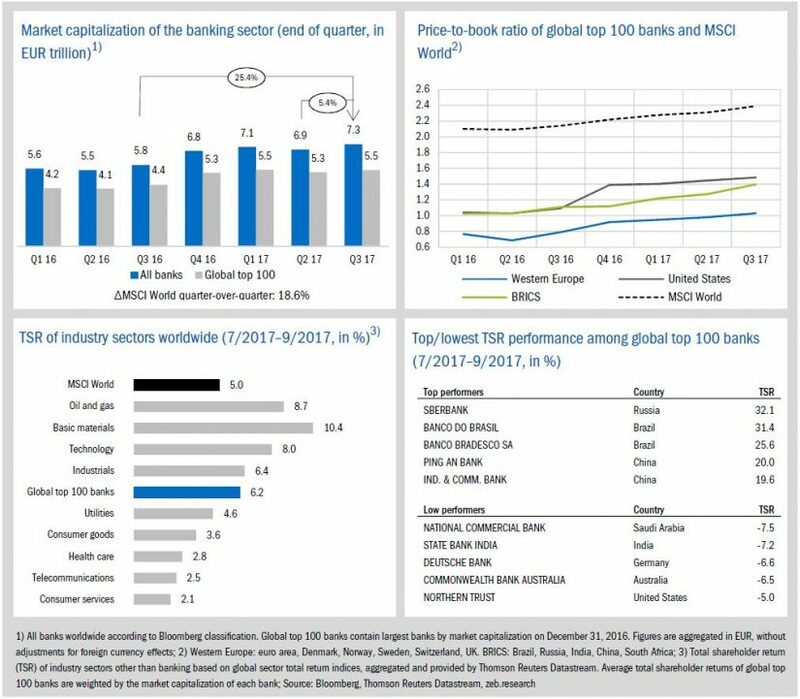 In the third quarter of 2017, global banks continued their ongoing solid capital market performance with an overall market capitalization reaching a new peak value of EUR 7.3 tr. Global top 100 banks showed a total shareholder return of +6.2% and the P/B ratios increased across all regions for the fifth time in a row, whereby even European banks exceeded the important level of 1.0x. 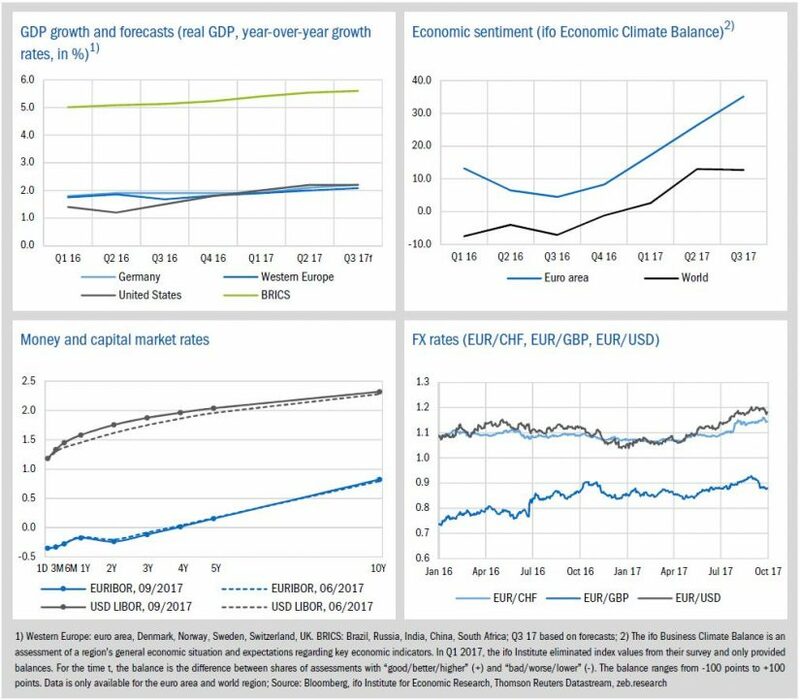 Driven by overall still buoyant global capital markets (MSCI: +18.6% qoq), the market capitalization of all banks reached a new peak value of EUR 7.3 tr (+25.4% yoy), after a short dip in Q2, 2017. The market cap of top 100 banks also increased by 2.8%, nearly reaching the highest top level of the first quarter. With an average P/B ratio of 1.03, in particular European banks exceeded the important level of 1.0x for the first time since mid 2015. However, the average P/B ratio in Europe is still far below other regions (U.S.: 1.5, BRICS: 1.4) and there are still some European banks with disastrous ratios far below 1.0, e. g. Deutsche Bank (0.4), Barclays (0.5) or UniCredit (0.6). Globally solid TSR performance is also reflected in the best low performer values since over four years, with values between just -5.0% to -7.5%. The overall positive economic development continued in the third quarter of 2017: economic growth is expected to further increase in Germany (+0.10pp), Western Europe (+0.08pp) and BRICS (+0.06pp), whereas U.S. growth remains unchanged. In line with expectations about continuing strong growth for the second half of 2017, the economic sentiment in the euro area improved markedly in Q3. The global economic climate remained good in Q3, 2017, although it has not improved due to less optimistic expectations for the upcoming months. The EURIBOR curve remained almost unchanged in the third quarter, since the ECB decided against any changes regarding interest rates or its QE program. The Fed decision to start balance sheet reduction in October led to a slight upward shift at the long end of the USD-LIBOR curve. Due to the ECB policy, the euro has continued to strengthen against the U.S. dollar and the Swiss franc. The exchange rate of euro against the U.S. dollar temporarily reached values above the USD 1.20 mark. In the third quarter of 2017, banks across all regions improved their average profitability for the second time in a row and the profitability gap between European and U.S. banks decreased. 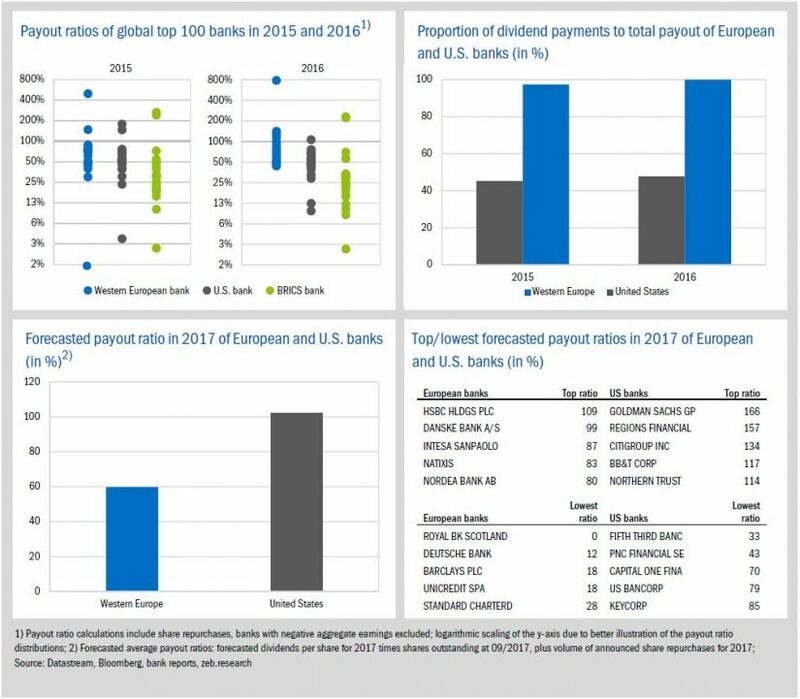 Whereas the CIR of European banks increased by +0.6pp to 65.0%, the average CIR of U.S. banks decreased by 2.6pp to 59.7%, underlining the fact that the profitability improvement in the U.S. is more driven by operating results rather than by extraordinary effects, as seen across European banks. In Q3, banks across all regions were once again able to improve their profitability. European banks show the highest increase in profitability (+1.0pp), now reaching 8.6%, which further reduces the gap to their U.S. peers (10.3%). However, the large increase of European banks’ profitability was driven by extraordinary effects in some institutions, like Intesa Sanpaolo (RoE +13.0pp) or Standard Chartered (RoE +5.7pp), rather than by an overall improvement across the European banking sector. The post-tax RoE of Intesa Sanpaolo jumped up to 20.4% due to extraordinary effects from public cash contributions. Will the U.S. payout party come across the ocean? In recent months, many U.S. banks have published record high payout ratios. Indeed, analysts expect that on average U.S. banks will reach their highest net payout ratios in more than five years following the U.S. Federal Reserve’s approval for several banks to exceed 100%. 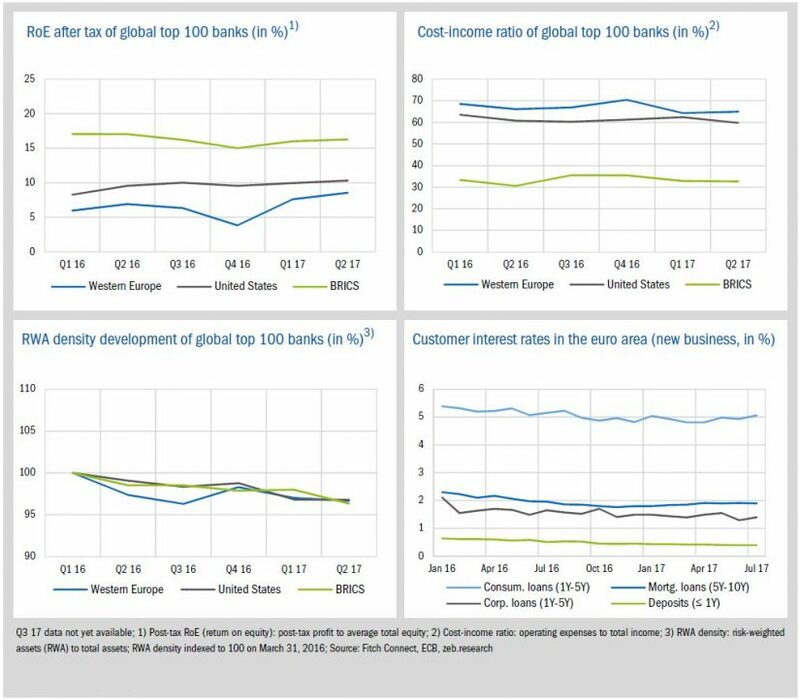 For the European banking sector, however, the outlook is much more sober, signaling different payout policies in Europe and the U.S.
Analyzing the payout behavior of the global top 100 banks up to now reveals a few differences between the payout policies in the European and the U.S. banking sectors—BRICS banks have significant lower payout ratios on average. First of all, in comparison to their European peers, the U.S. banks’ payout ratios of 2015 and 2016 are slightly lower, since U.S. banks have retained more earnings for building capital buffers rather than granting shareholders the capital gains. Furthermore, there are some outliers like HSBC, which paid out the same dividend in 2016 as in 2015 in spite of a heavy drop in earnings—leading to a payout ratio of nearly 800%. Secondly, total payouts by American banks are mainly driven by share repurchases whereas European ratios depend almost exclusively on dividend payments. The average proportion of share repurchases by U.S. banks over the last two years equals 54%, compared to just 2% by European banks. In 2017, American banks included in the global top 100 sample are expected to reach a payout ratio of 103% on average—almost every other bank has ratios exceeding 100%, including Goldman Sachs, Citigroup, JPMorgan Chase and Morgan Stanley. Citigroup, for instance, will double their quarterly dividend from USD 0.16 to USD 0.32 and repurchase nearly USD 16 bn in shares, pushing their payout ratio up to more than 130%. Citigroup’s plans also reflect the extraordinary increase in the overall value of share repurchases which are expected among American banks. The forecasted total for 2017 amounts to USD 94.9 bn—raising the proportion of share repurchases to 74%. This “payout party” among U.S. banks ensued after the results of the Fed’s latest stress test (Comprehensive Capital Analysis and Review) of 34 large American banks were published in June 2017. 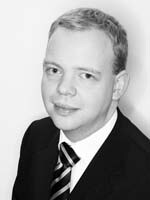 In the “severely adverse” financial and economic scenarios to which the banks were hypothetically subjected, all banks were able to maintain the minimum levels of common equity tier 1 (CET1) capital buffer and leverage ratio which are deemed necessary for absorbing losses and continuing to operate. Although one bank, Capital One, was granted conditional provisions, this was the first time that the considered U.S. banks had passed unanimously ever since the Fed began conducting stress tests in 2011. These results strengthened the regulator’s belief that banks have reached a sufficiently high level of capitalization. Following this belief, the Fed approved the U.S. banks’ requests to return a substantial portion of the capital to the shareholders. Now, for several large U.S. players it is self-evident to start handing capital back to their investors—rather than building additional capital buffers—in an attempt to revitalize investors’ interest in the banking industry. Although news of the Fed’s announcement were, in part, expected by capital markets, the weighted average of U.S. banks’ TSR were pushed to approximately 8.0% in the months of June and July, thereby exceeding the Western European weighted average of 4.7% by 70%. Furthermore, U.S. banks appear to be relishing the opportunity to reduce their sufficient capital levels to support KPIs for investors—such as dividends per share. In Europe, such extraordinary payout ratios as seen in the U.S. are not expected. HSBC is the only European bank to exceed 100% with a forecasted ratio of 109%, due to a ramp-up of share buy-back plans—like its U.S. peers—rather than an increase in dividend payments. In addition, Danske Bank and DNB are the only two other European banks with announced plans for share buy-backs, with payout ratios of 99% and 61%, respectively. Meanwhile, the Royal Bank of Scotland has yet to resume paying dividends on their common stocks, and Deutsche Bank managed a payout ratio of only 12%. 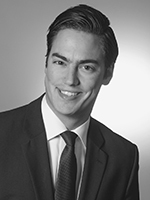 Moreover, four large European banks (UniCredit, Deutsche Bank, Credit Suisse and Santander) have recently undergone significant capital increases, raising more than EUR 32 bn in fresh capital (see also market flash #21). 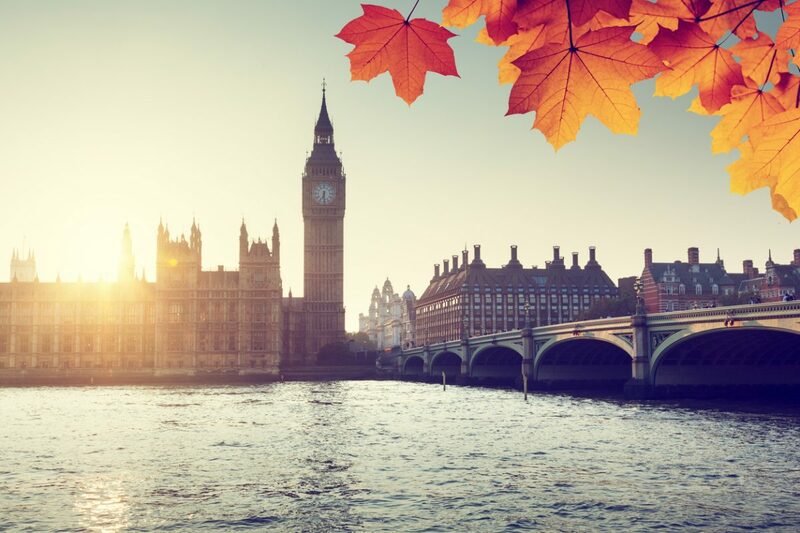 This development results from many European banks renewing their efforts to boost capital levels—several European banks having fallen short of necessary levels in the European Banking Authority’s latest stress test in 2016. Although capitalization continued to improve among European banks and capital ratios are now well above regulatory requirements, European banks must still prove the robustness of these figures in the upcoming 2018 EU-wide stress test. 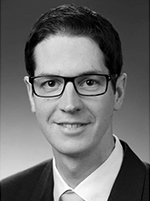 Depending on the results of the stress test, investors will be aware of those European banks that are able to support their TSR with above average payout ratios.